If you’ve ever had surgery that required anesthesia, you probably still remember the moment you closed your eyes and blanked out on everything. Hours later, you wake up from the “reversible coma,” likely unaware of whatever happened during the surgery. However, scientists’ understanding of what happens to the brain after having gone through this procedure may be just as foggy as your memory after having received anesthetics. Until now, scientists have not quite understood why certain patients who undergo anesthesia experience memory loss at hospital discharge – and why some patients still suffer cognitive impairments even a few months after undergoing anesthesia. Currently in the U.S., there are millions of children – including infants – who undergo surgery and anesthesia each year. A great deal of concern has arisen that the exposure of children and infants to general anesthesia may induce loss of long-term memory and learning abilities. In 1999, researchers used animal models to prove that anesthetics could induce neurotoxicity in developing brains, and that the toxicity is specific to periods of rapid growth (“synaptogenesis”) in the brain (1). Since then, mounting evidence has shown that anesthetic effects on the brain during its critical growth periods can alter neurodevelopment; however, the underlying mechanism of these effects remains complex and ill-understood. Since the first discovery of microRNAs (miRNAs) in C. Elegans by Lee, Feinbaum and Ambros in 1993, more than 2500 human microRNA sequences have been identified (2). And this number continues to grow. 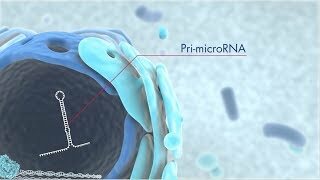 The importance of miRNAs in cancer and in cardiovascular disease were quickly discovered through various approaches in microRNA research. More recently, studies have increasingly shown that microRNAs are also highly important in a range of brain functions – including memory, neurogenesis, synaptic plasticity and neuronal degeneration. Studies on microRNA function in anesthetic-induced developmental neurotoxicity have also been increasingly investigated. Twaroski, Bosnjak and Bai recently provided an overview of anesthetic-induced developmental neurotoxicity, assessing the roles of microRNA in neurotoxicity of human stem cells and animal models (3). First, the authors cited the evidence of developmental neurotoxicity from different models – including animal studies, clinical and human studies and human embryonic stem cell-derived neuron studies. Then, more recent discoveries of microRNAs that have expressed altered profiles in cases of anesthetic-induced developmental neurotoxicity were elaborated on at great length. Extensive discussion followed the experiments that were carried out as well as the five specific microRNAs – including miR-21, miR-34a, miR-124 and miR-137 – that gave indication of playing a role in anesthetic-induced developmental neurotoxicity. If you are interested in learning the key findings of the review and each microRNA’s role in neurotoxicity, read more here. Liu, Paule, Ali and Wang presented a study that used rat pups to assess: 1) potential dose- and time-dependent neurotoxic effects of ketamine administration to developing rat brains, and 2) any associated changes in gene expression (4). Pups were exposed to ketamine – a blocker of NMDA receptor ion channels commonly used in obstetric and pediatric anesthesia. Brain tissues from pups’ frontal cortex were collected for total RNA isolation using RNeasy Lipid Tissue Mini Kits. RNA quality and purity were evaluated. High quality RNA was used for microarray experiments and gene expression assays. The authors discovered that repeated exposure to high doses of ketamine may cause compensatory upregulation of NMDA receptors, and may subsequently trigger apoptosis in developing neurons. Read more details about this study here. Propofol is another commonly used anesthetic agent administrated to children and infants, undergoing imaging and surgeries. A recent study by Twaroski, Yan, Olson, Bosnjak and Bai, made use of human embryonic stem cells (hESCs) as the experimental model to assess propofol and anesthetic-induced neurotoxicity and the underlying microRNA involvement (5). The authors collected neuronal cells that had been differentiated from hESCs. Cells were cultured and exposed to propofol. Afterwards, total RNA was extracted using RNeasy Mini kit. The cDNA was synthesized using the miScript II RT kit and the microRNA expression was assessed using qRT-PCR. The authors then used human miFinder miRNA PCR arrays to screen for potential microRNA contribution to propofol-induced neurotoxicity. These arrays allow for rapid screening of 84 of the most abundantly expressed microRNAs as characterized in miRBase. After screening, miR-21 was identified as being downregulated following exposure to propofol – indicating that the miR-21 signaling pathway plays a role in propofol-induced cell death. While recent studies have shown that anesthesia may induce neurotoxicity and other long-term effects in developing brains, it’s important to keep in mind that anesthesia also provides tremendous benefits. It would be unethical and unacceptably cruel to perform certain types of surgery on children without anesthesia, and the stress and pain from such a surgery would likely harm kids’ brains in other equally important ways. Nevertheless, the discovery of microRNAs’ important role in anesthesia-induced cell death may lead to the development of new protective surgical approaches that could reduce neurotoxicity risks in children and infants. Lily Xu graduated from Leiden University, The Netherlands, after studying biochemistry and science-based business. With a background in both molecular genetics and the commercialization of new technologies, Lily joined QIAGEN in 2012. Since then, she has been involved in managing various parts of QIAGEN’s sample and assay portfolio. Lily's interests span several emerging fields, particularly single-cell analysis and microRNA biomarker discovery.